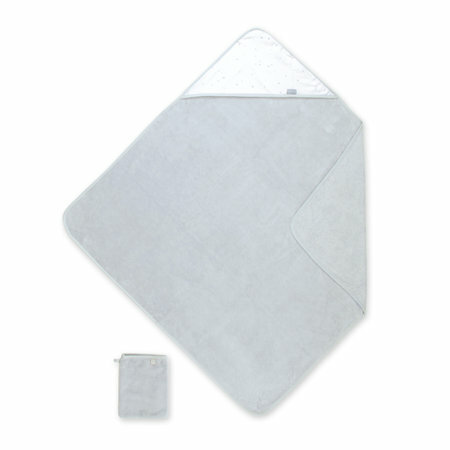 Very large hooded towel, absorbent and wrapping with matching washcloth! Well absorbent, Bemini's bath cape has a generous size to wrap baby after his bath. With a hood, sometimes decorated with trendy prints and its modern and unique colors, it will bring all necessary softness for your baby’s skin. 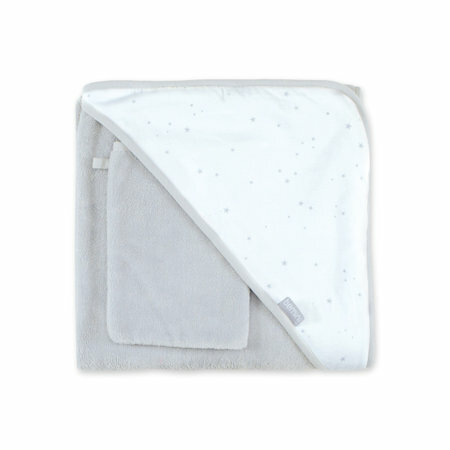 True bath essential, the large hooded towel allows you to dry and keep your baby warm and to bring all the love and care he needs. Natural antibacterial fiber, soft, hypoallergenic and absorbent.